We are a group of professionals with decades of experience in the financial industry. Learn more about us and our story below. 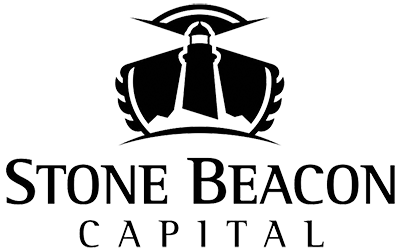 Chadwick founded Stone Beacon Capital in January 2017 after spending twenty years working at two multi-billon dollar wire house brokerage firms. He started his career at Merrill Lynch in 1997 where he achieved the Vice President designation along with being recognized as a Chairman’s Club member. In 2009 he transitioned to Wells Fargo Advisors where he was named to their President’s Counsel along with being promoted to Managing Director which is the highest title awarded to a Financial Advisor at the firm. Chad graduated Whittier College in 1996 where he received a Bachelor of Arts in Economics while playing college football. He also earned a Charted Mutual Fund Counselor® (CMFC®) designation from the College for Financial Planning. His family was the founding family in San Elijo Hills in December 2000 where he currently resides with his wife Janelle and his five children, Brandon, Brooke, Blake, Bretton, and Brycen. When not in the office he spends free time with his family sharing their love of music, golf, and fishing. Chad and his family routinely participate in charitable work and philanthropy for the benefit of many different causes focused on children. Graham has been providing sound financial guidance and advice for twenty-three years. Formerly a financial advisor for Merrill Lynch and Morgan Stanley Smith Barney, Graham’s extensive experience in the investment industry has provided him with a broad base of knowledge which he maintains through continuing education. He provides his clients with a thorough review and analysis of estate planning, retirement saving, taxation, college saving and asset protection issues. Graham focuses on developing financial plans based upon the specific needs and goals of each of his clients, and monitoring and adjusting those plans to meet his clients’ changing needs. Graham believes that understanding his clients’ goals and working together as a team results in successful financial planning. He accomplishes this through open communication, client education and relationship building. Shari Hughes began her career in Financial Services in 1997 with Prudential Securities in Marlton, NJ. She later left her position to work with a team at UBS until 2008 where her and her team formed MassoTorrence Wealth Management. Shari wore many hats at MassoTorrence Wealth Management which included running the everyday business, supervising the team, managing work flow, opening accounts, working closely with clients, managing the books, as well as many other tasks. In 2014 Shari’s husband was offered a position in San Diego, California causing her family to relocate. She later joined Wells Fargo Advisors in Carlsbad and in 2017 she became Chief Operating Officer of Stone Beacon Capital. Shari and her husband Jimmy reside in San Diego with their daughter Aryana. Meredith McFate Carso was born in San Jose, CA and raised in Palo Alto, CA. She spent many of her young years swimming in the summer and ice skating in the winter. Meredith started her career in Financial Services in 1992 when she joined the San Diego office of HYM Financial Services. When HYM closed their doors in 1994, Meredith began working at Smith Barney in San Diego. This position was the beginning of a long and accomplished career in Financial Services. To better her position, Meredith chose to search out a more rewarding position and began working at A.G Edwards & Sons as the Western Division Coordinator for A.G Edwards Trust Company. When Wachovia acquired A.G Edwards and Sons, Meredith began working as a Senior Registered Sales Assistant, and continued with the office when Wachovia was acquired by Wells Fargo. Meredith continued and spent many years as a Senior Registered Sales Assistant at Wells Fargo Advisors. In January 2017 Meredith joined Stone Beacon Capital as a Senior Client Associate and is also assisting organizing events for the firm’s philanthropic activity. When Meredith is not working, she enjoys taking trips with her husband in their 36ft Tiffin Phaeton Motorhome. Meredith also enjoys golfing, pickle ball, hiking and gardening. Meredith is a resident of Ocean Hills Country Club where these activities are readily available.